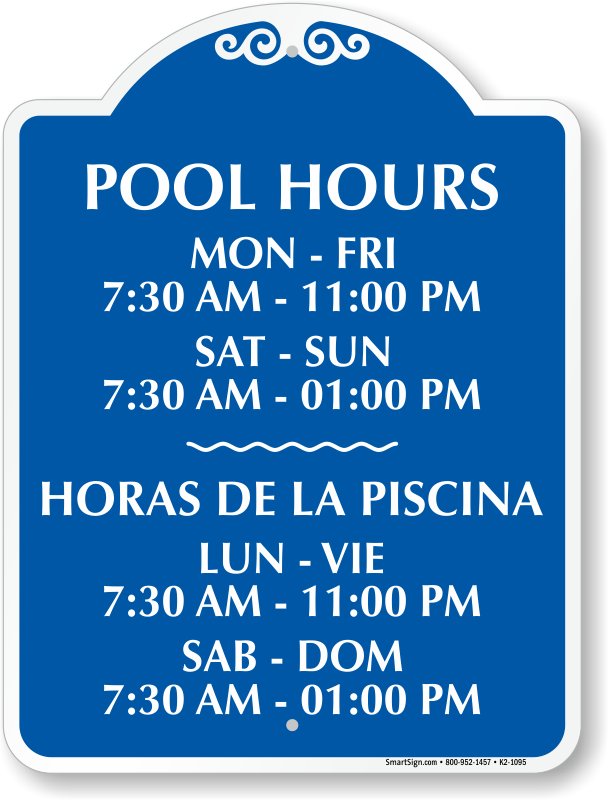 The pool is a great place to get out, relax and have a good time. 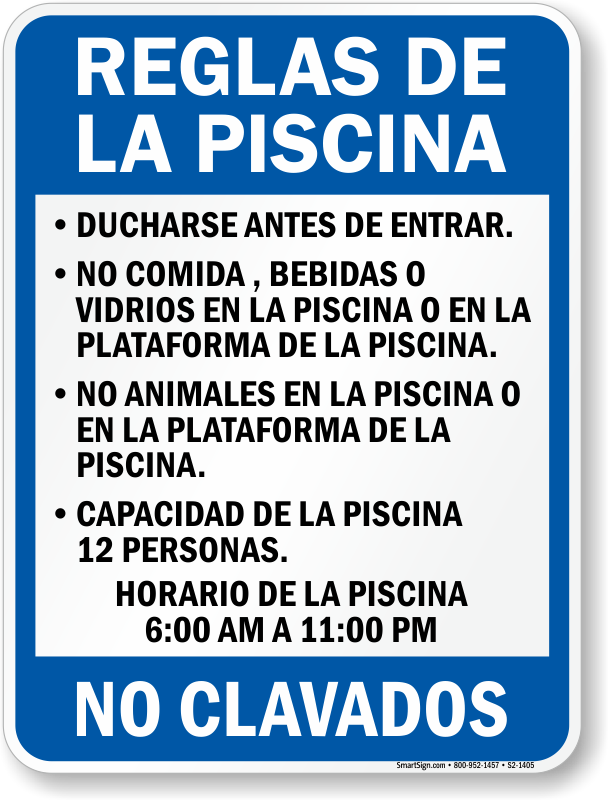 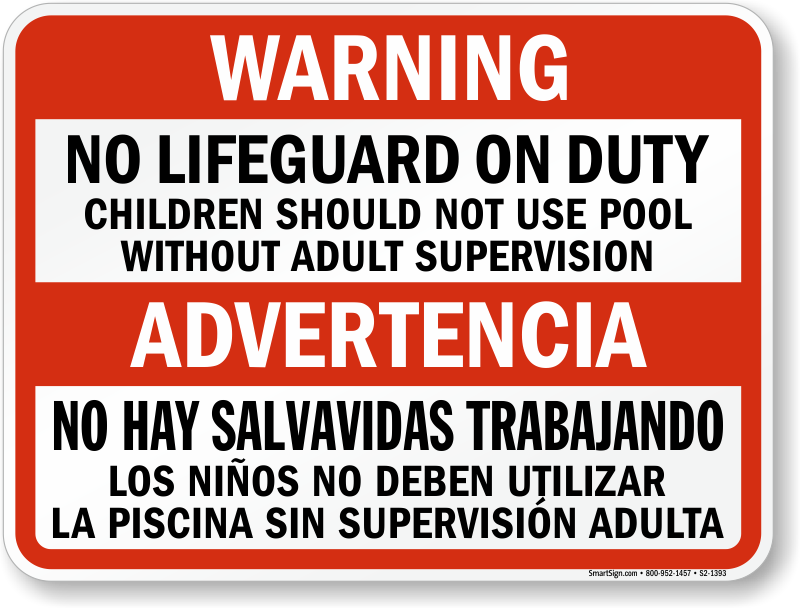 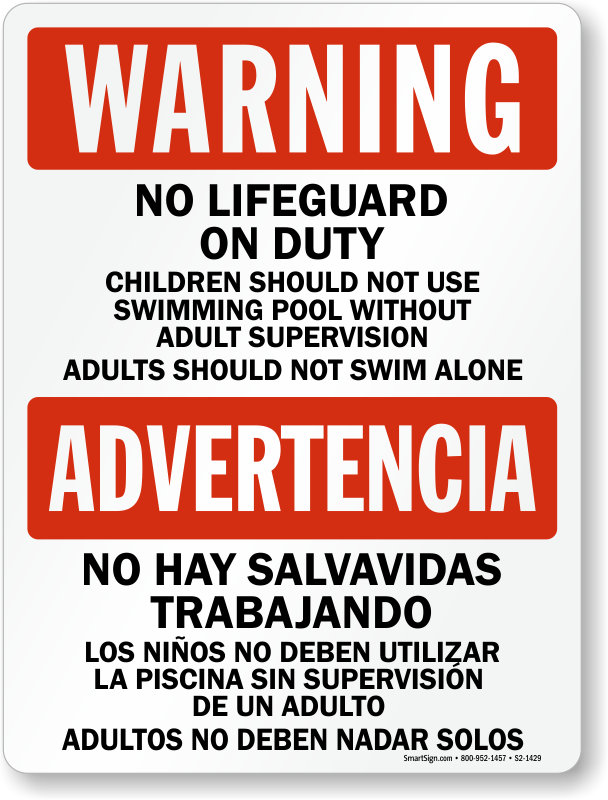 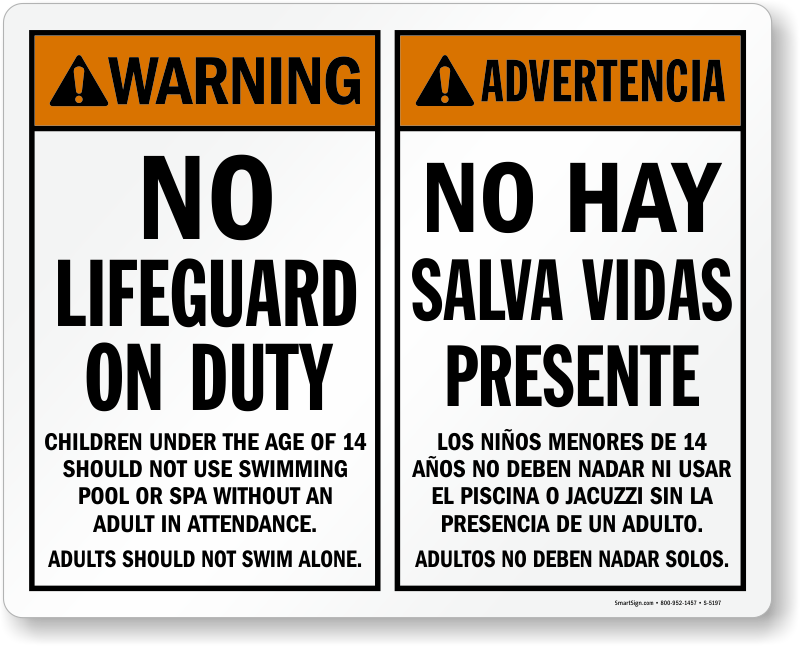 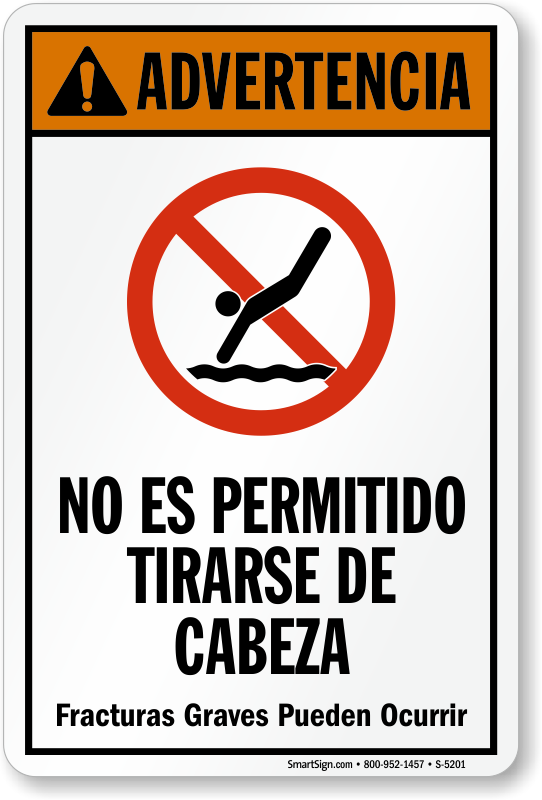 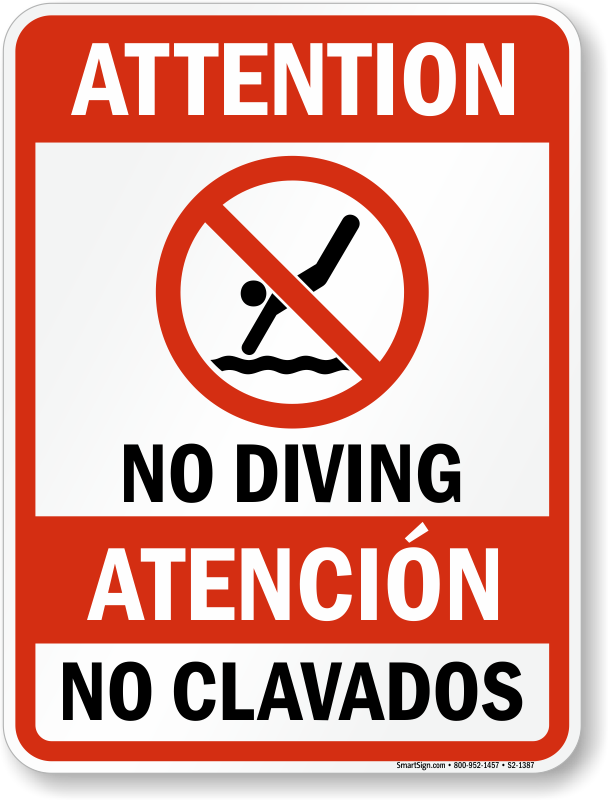 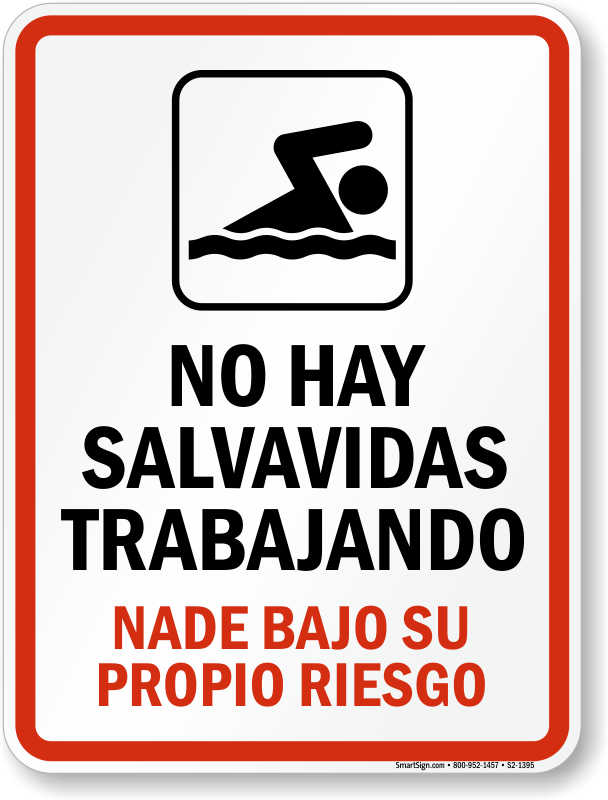 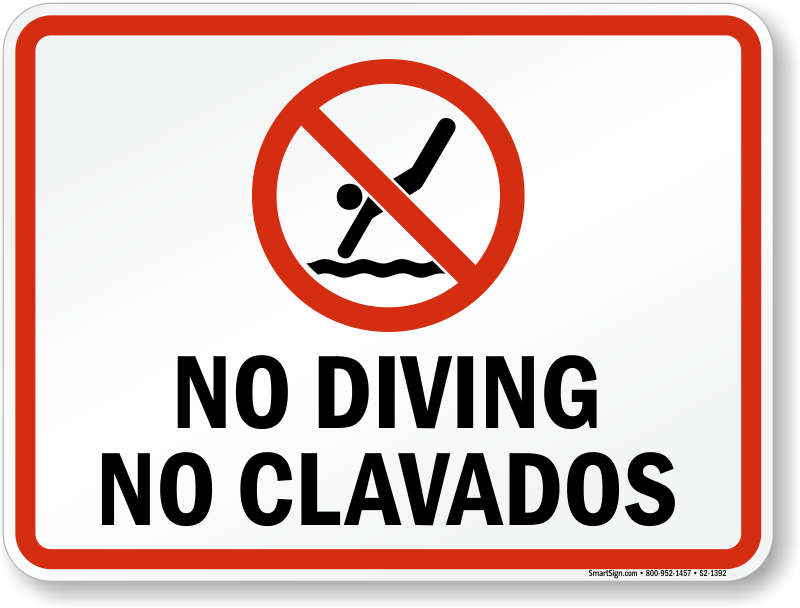 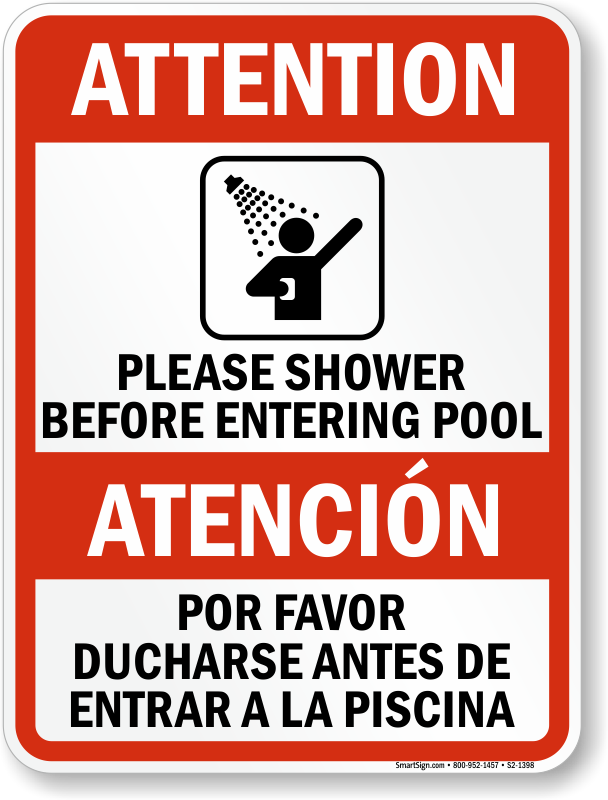 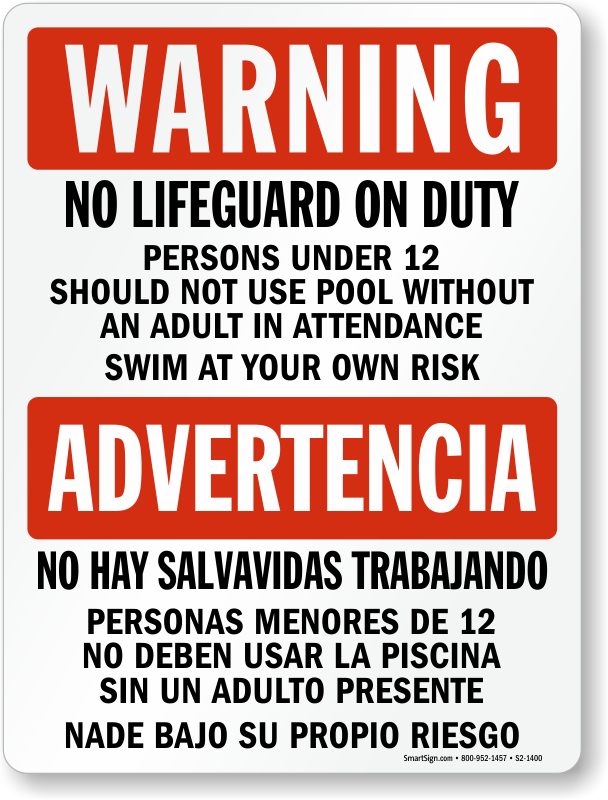 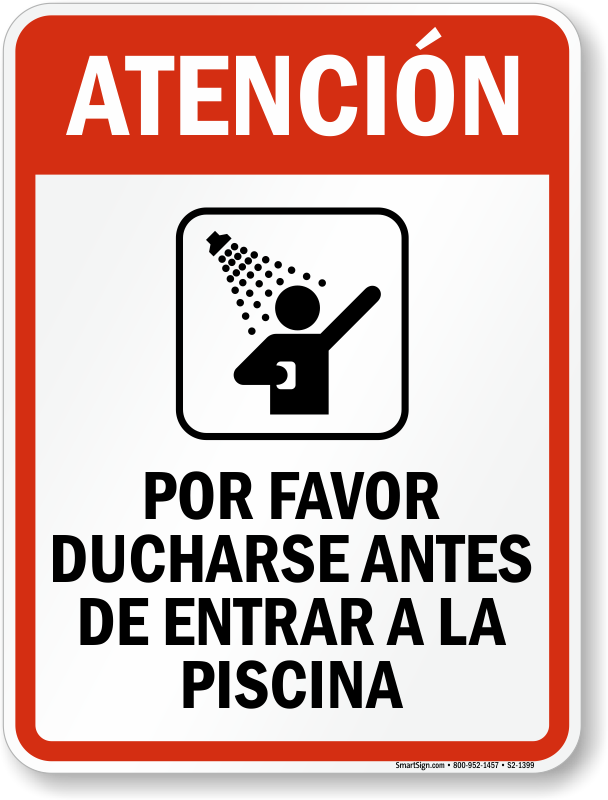 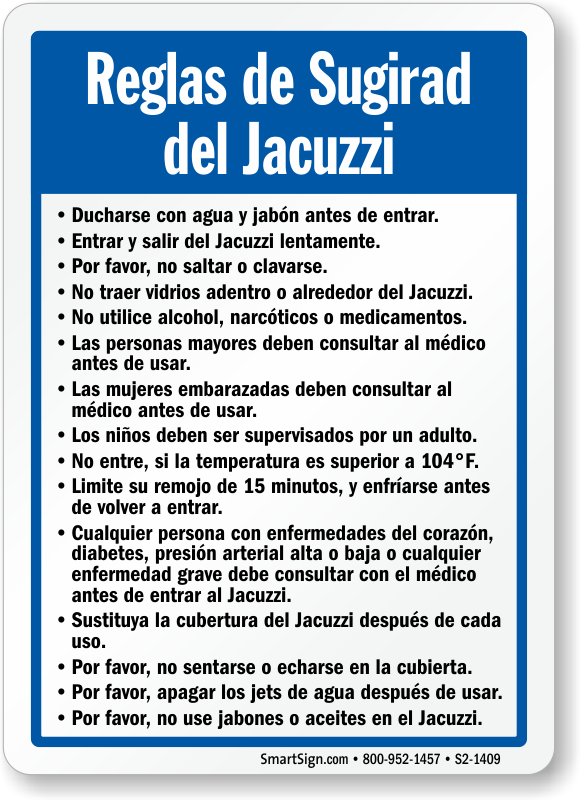 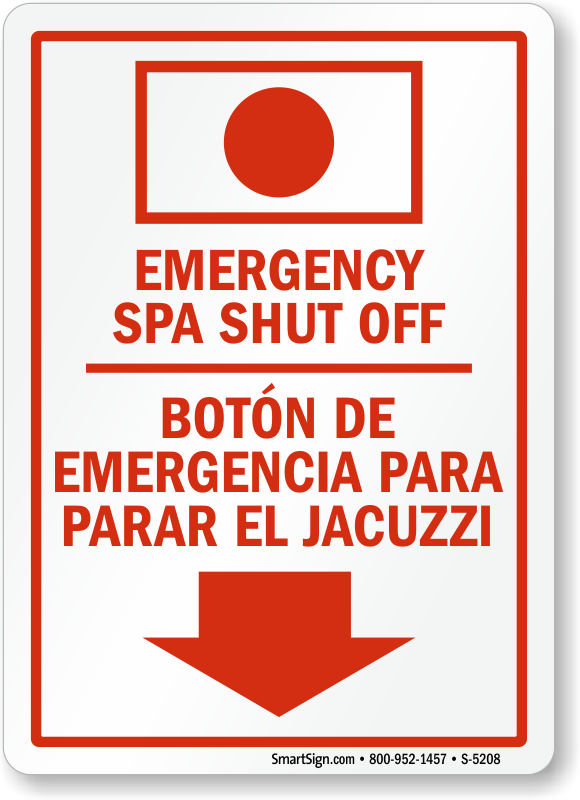 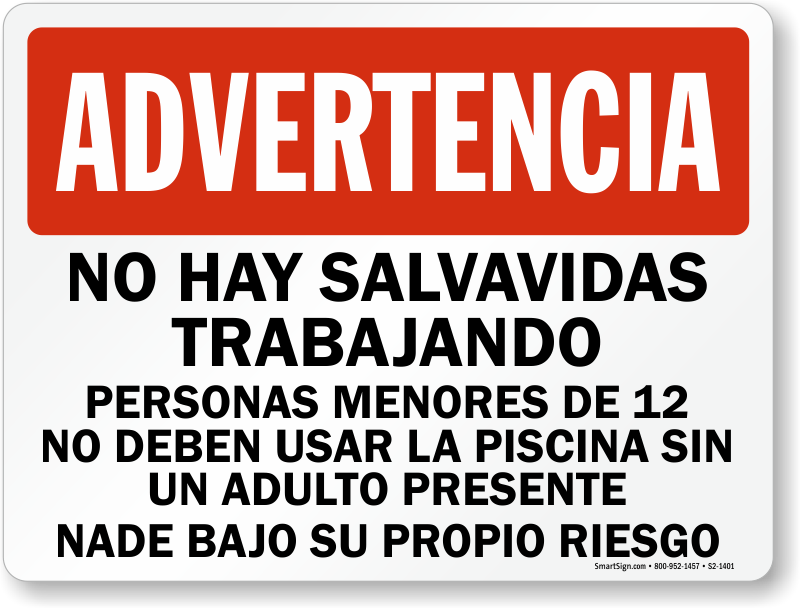 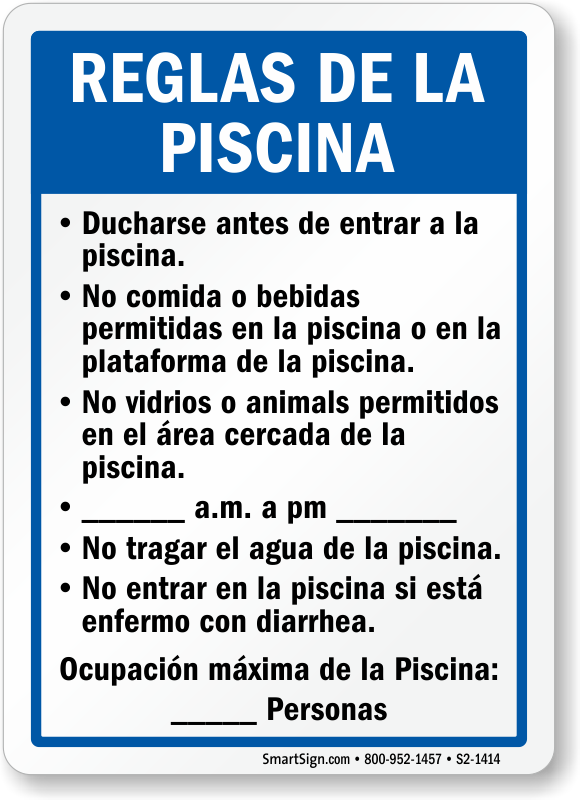 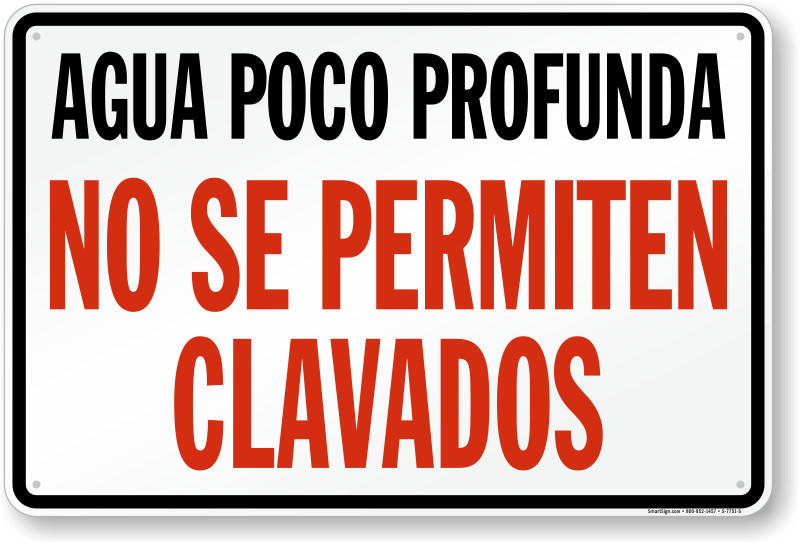 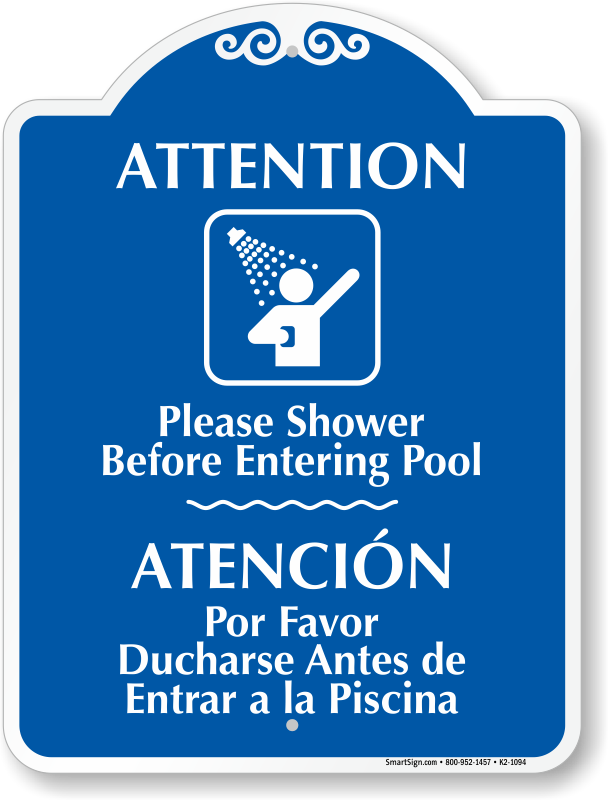 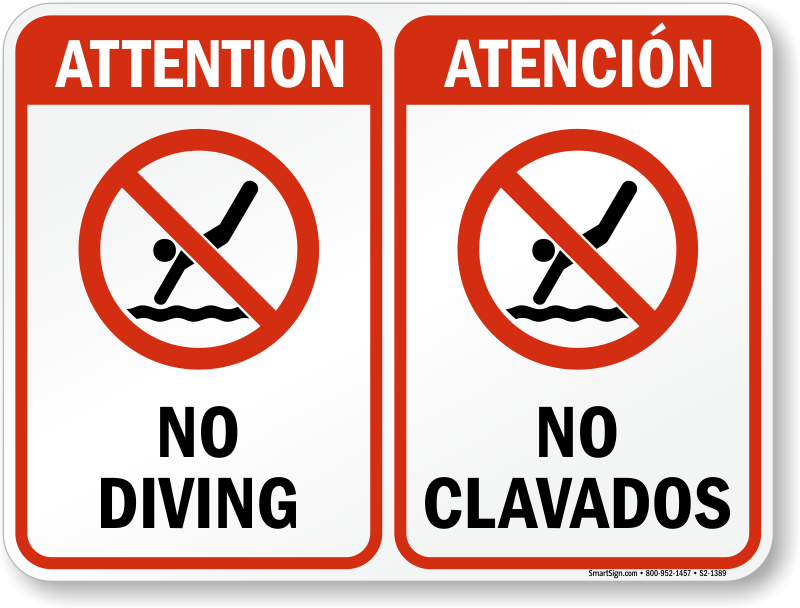 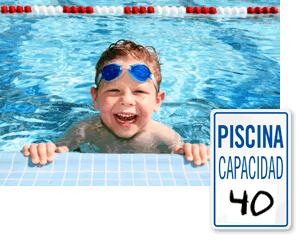 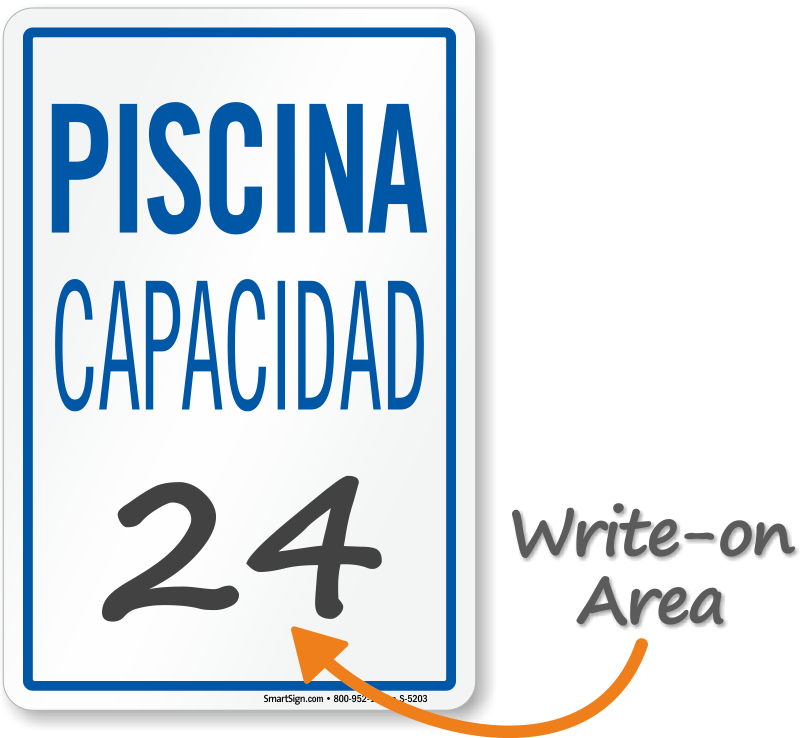 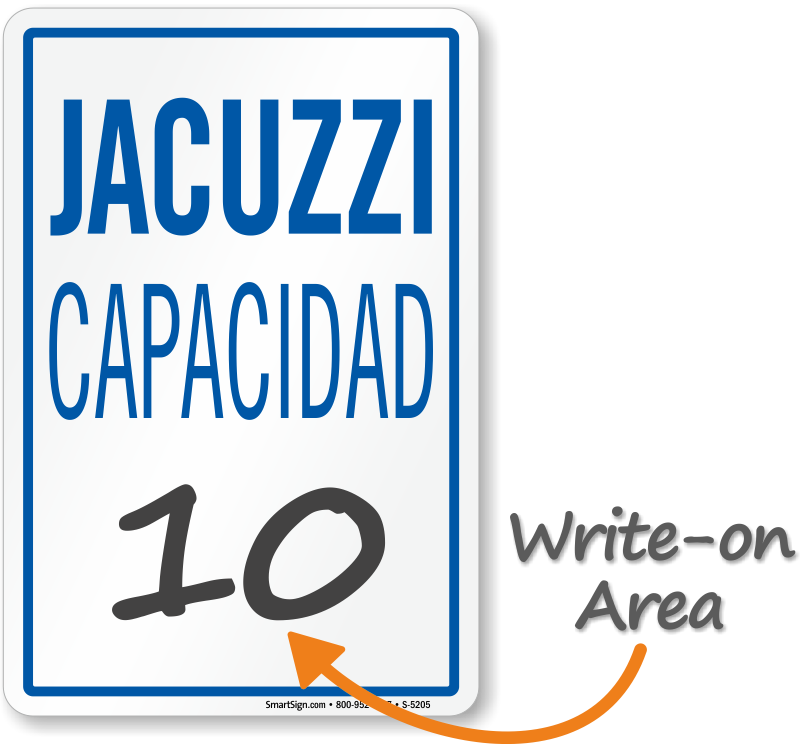 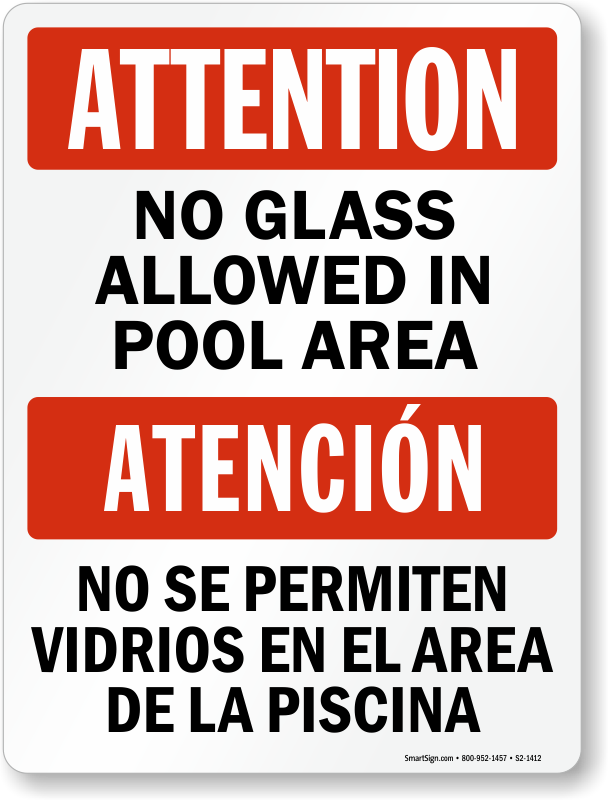 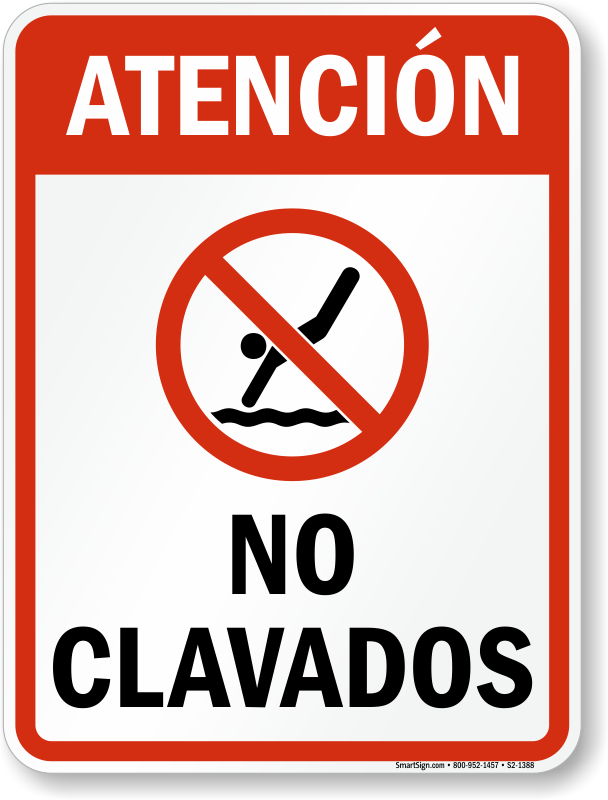 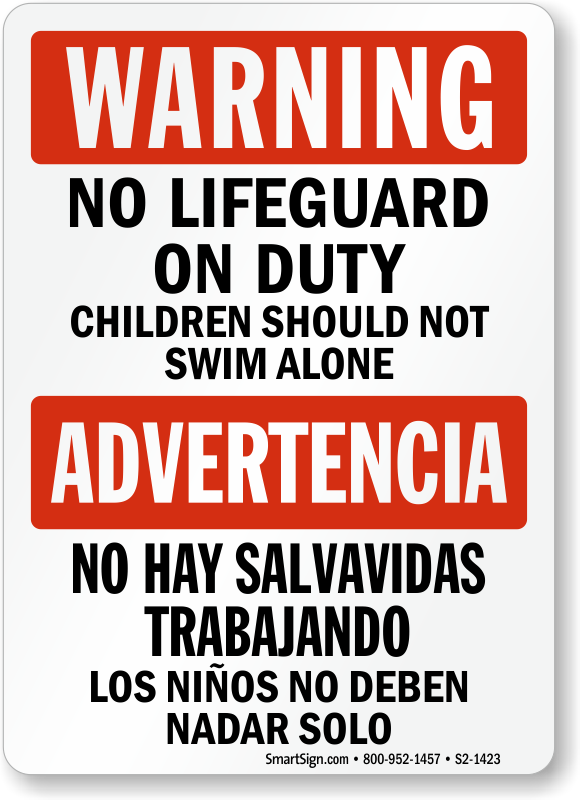 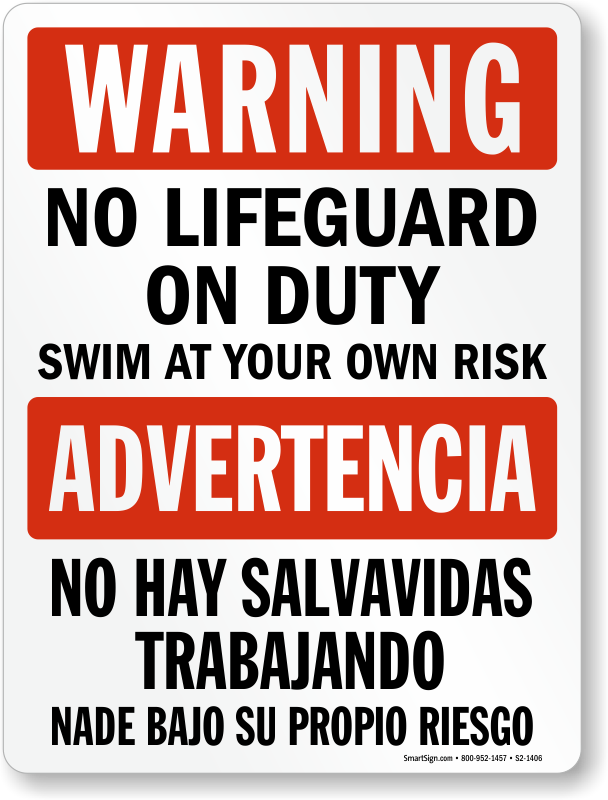 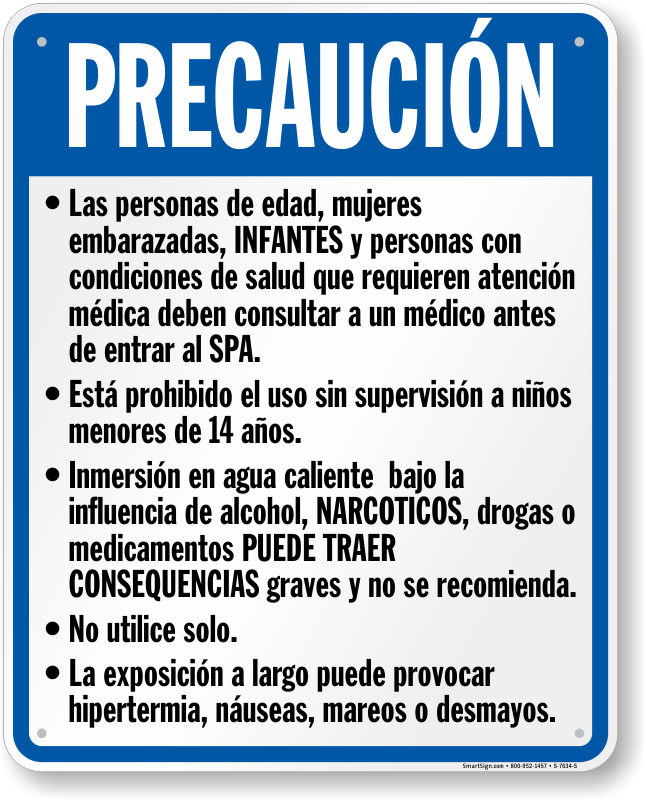 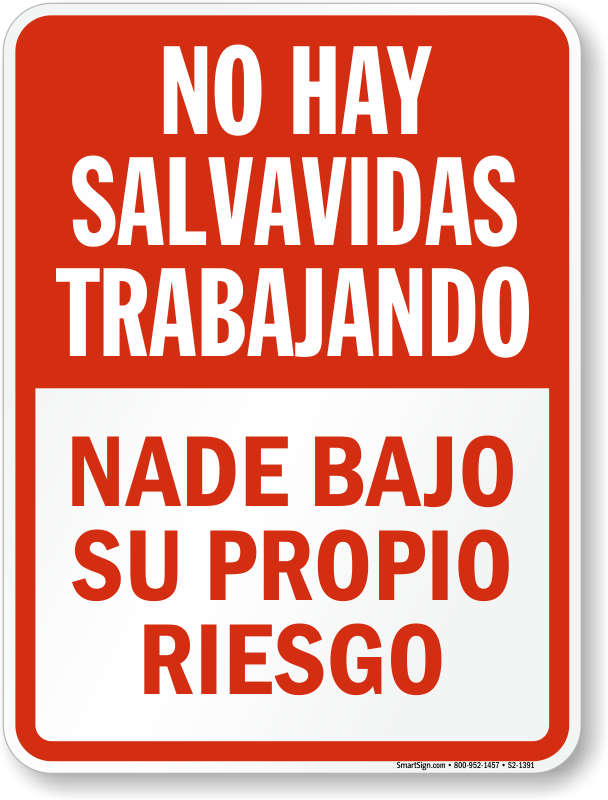 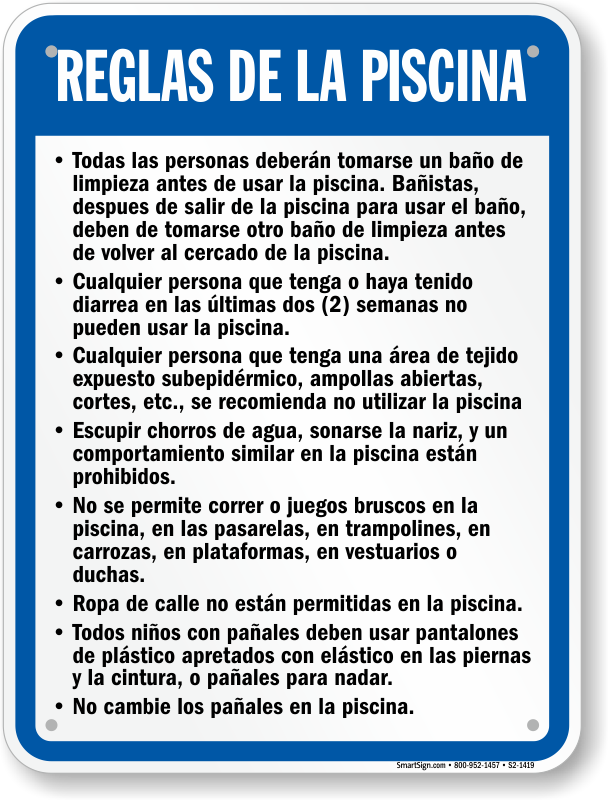 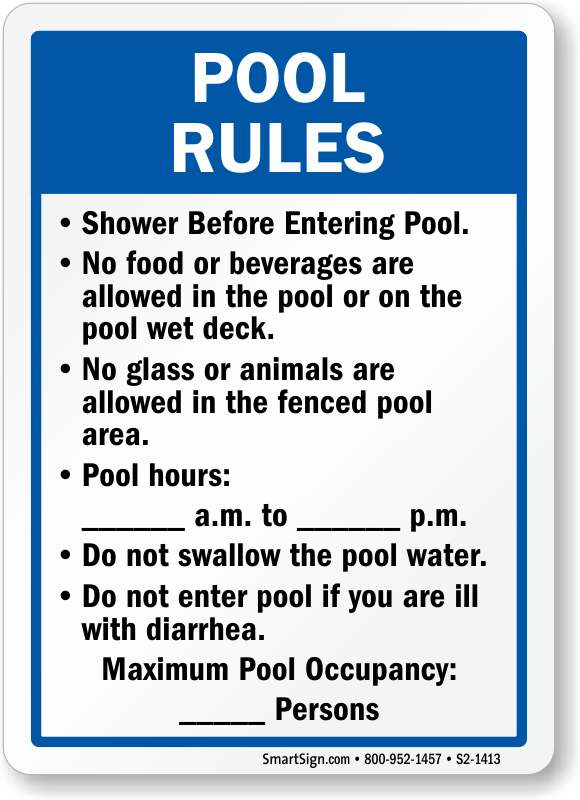 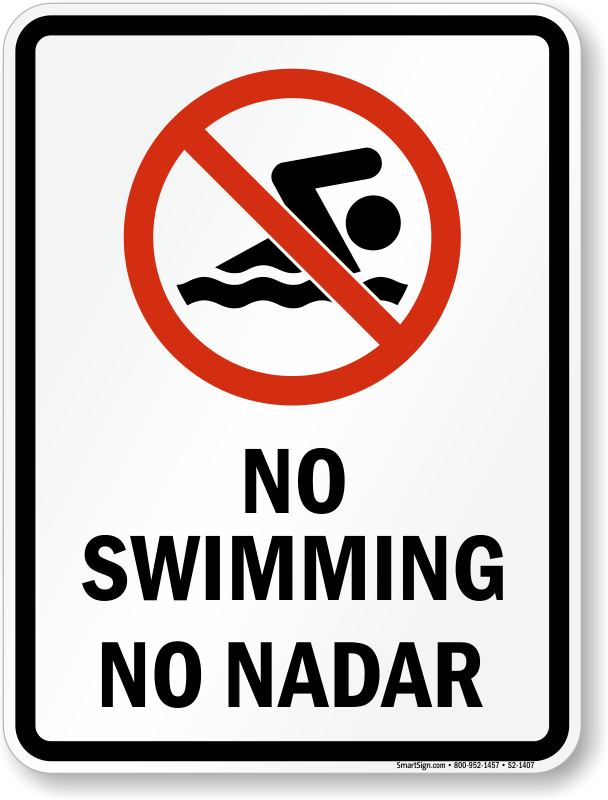 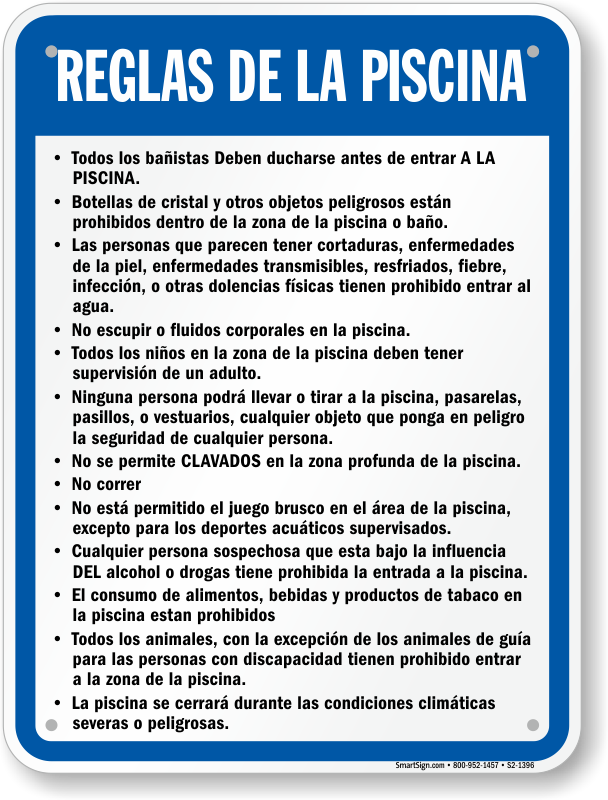 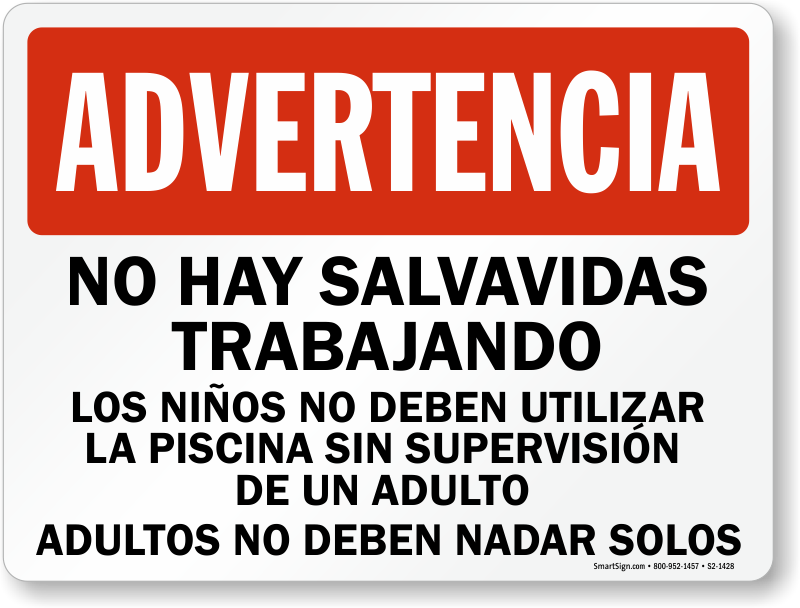 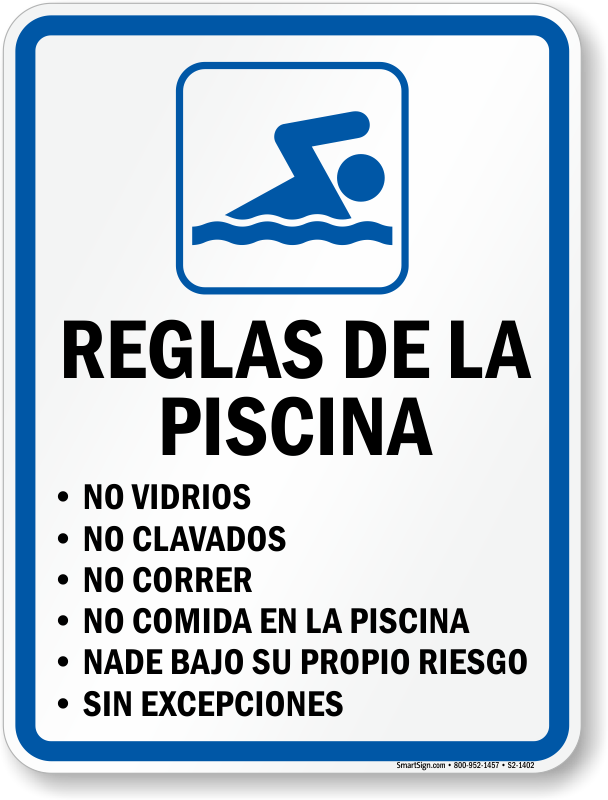 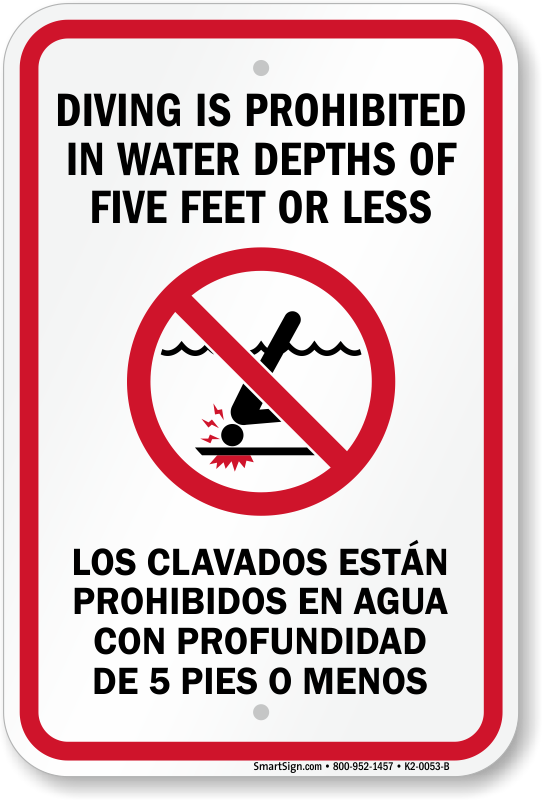 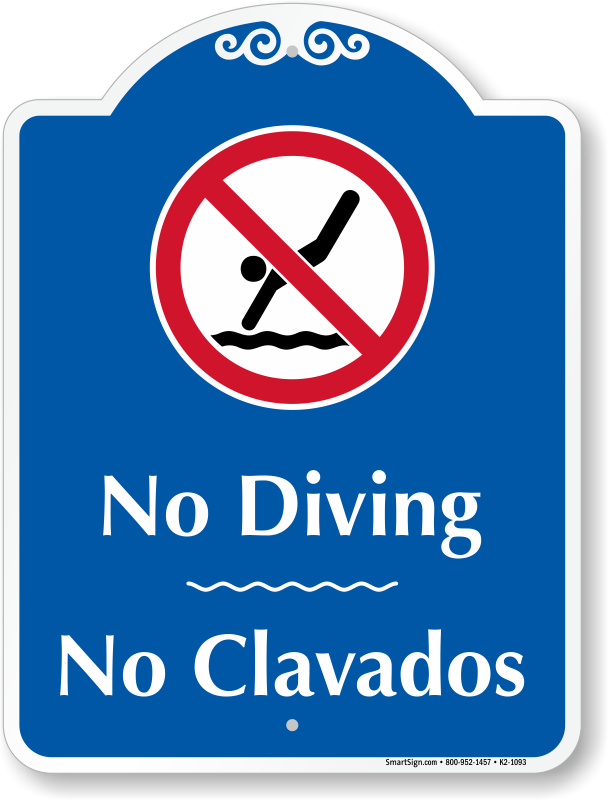 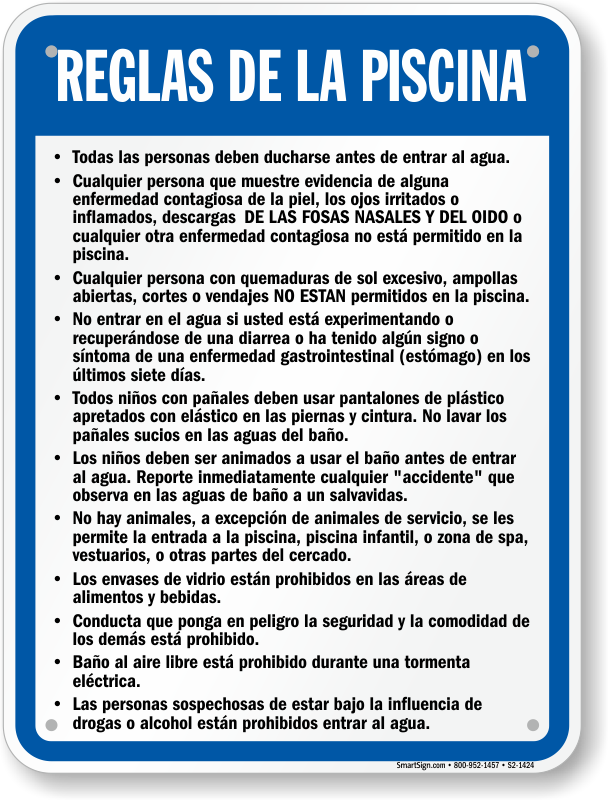 Assure that all your visitors, English and Spanish, are aware of the rules with our Bilingual Swimming Pool Signs. 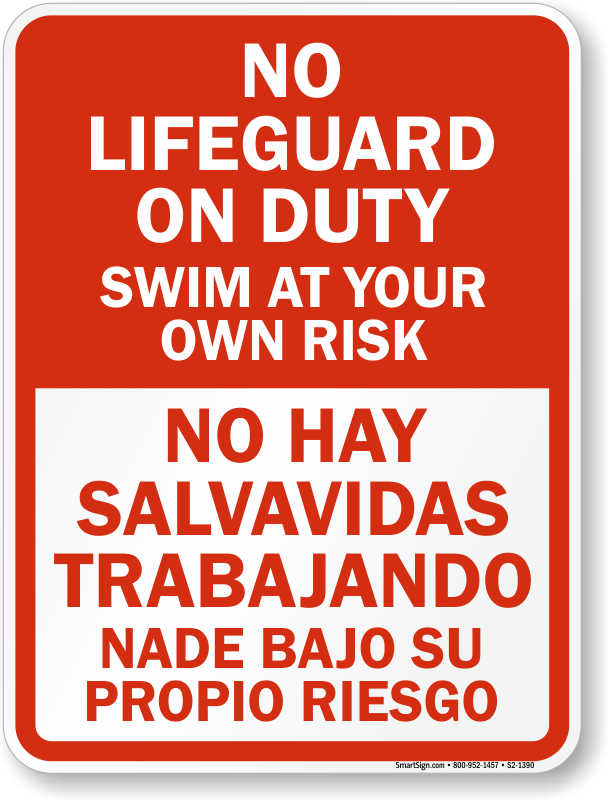 Nothing is more important than your guests safety! 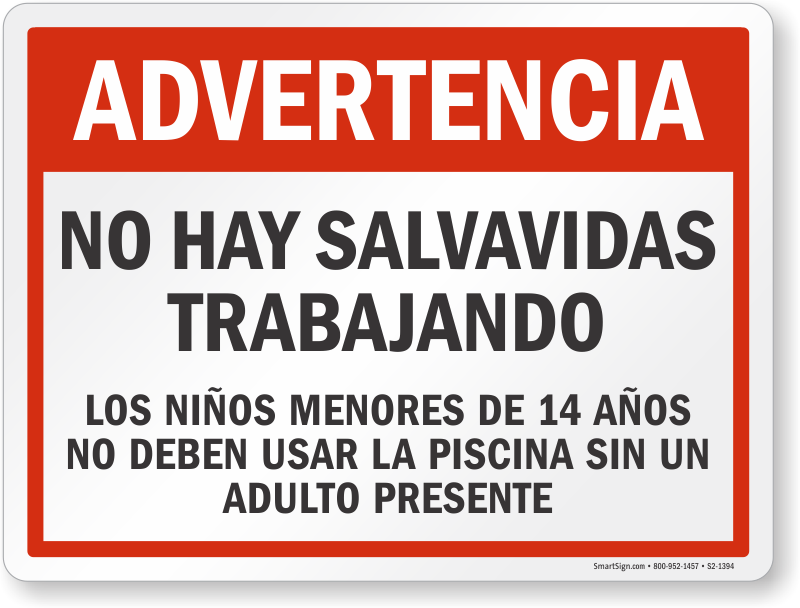 • Bright 3M ink and graphics encompass English and Spanish Text. 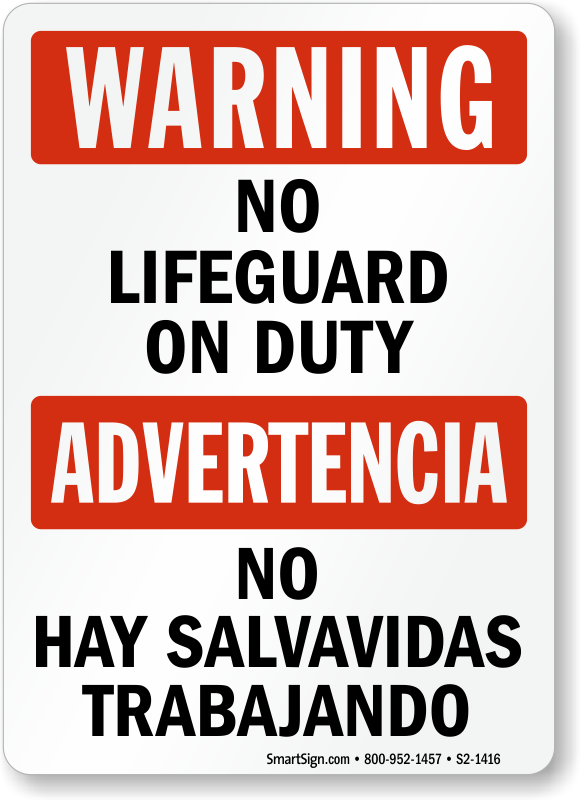 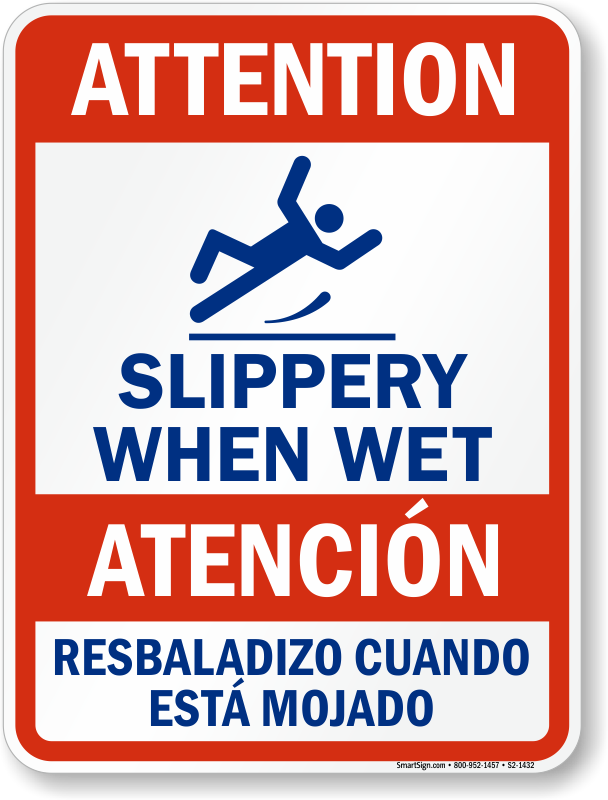 • The signs are made from heavy-duty aluminum or plastic that will survive outdoor weather, water, and abrasion. 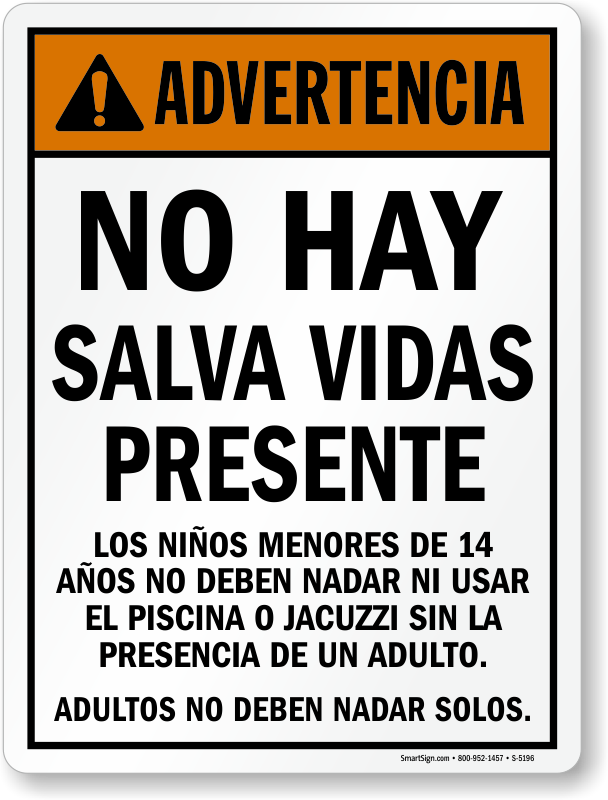 • Have more questions? 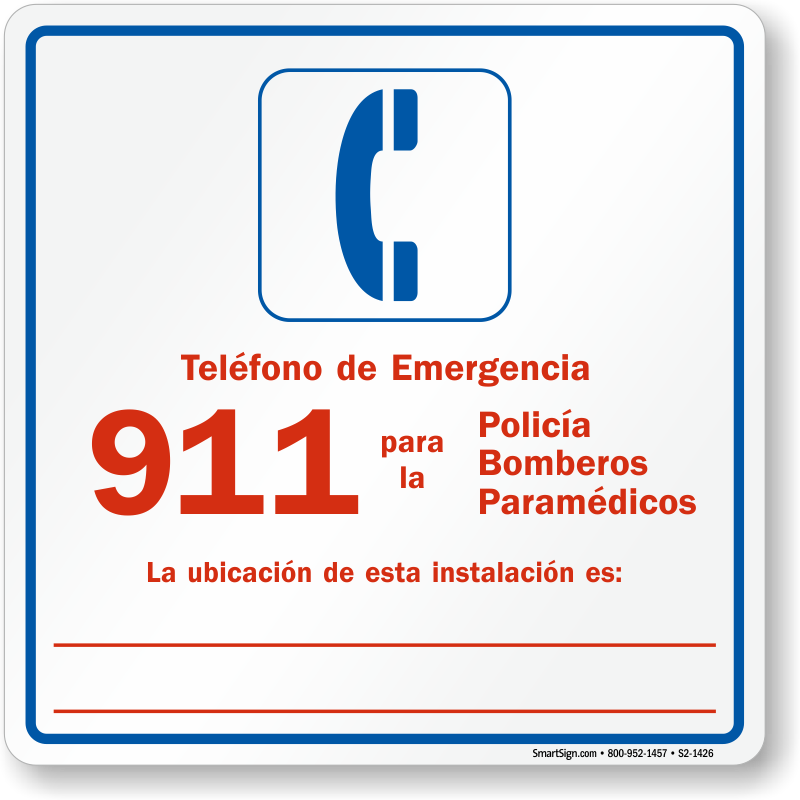 Call our Live Help line listed above to chat with a customer service representative.